Looks like Lady Gaga is pushing the rock aesthetic with this era like I (and the blind man in the back) previously predicted. One point for me (and him)! But I can't complain when it sounds and works so well for her. 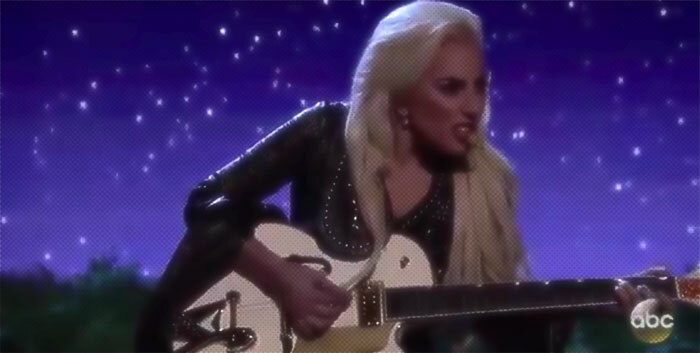 Performing Million Reasons at the 2016 American Music Awards, the Diva left the obvious gimmicks at home and let the voice woo the audience. Set as if in a night-time meadow, the subtle staging was a genius touch that made it feel like an intimate, campfire moment between us and the singer. Much like Beyonce, this is a professional at the top of their craft and a joy to watch.